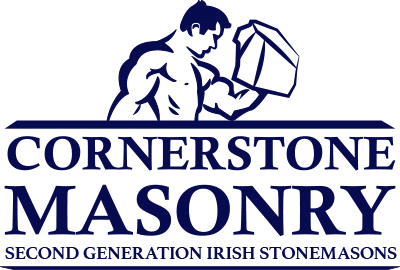 Cornerstone Masonry is a team of three hardworking stonemasons with an impressive background in masonry work. Colin is a second generation stonemason who comes from a little town in the middle of County Armagh in Ireland. Colin left school at the age go 16 to go and work with his father in the family masonry business. His father passed down the art to Colin and he has brought those unique skills to New Zealand with his wife – Diana and three young children – Ethan, Claudia, and Shannon. Dommy hails from a small village on the west coast of Wales and has 10 years experience in masonry. He worked with his father and brother learning all the essential skills that have made him so good at his job today. Josh is a Kiwi Stonemason with 12 years experience. Josh has spent all of those years in Auckland and has gained extensive experience and knowledge of the local stone. Josh also has a wide range of landscaping knowledge which comes in handy for outdoor projects such as retaining walls and outdoor fireplaces.